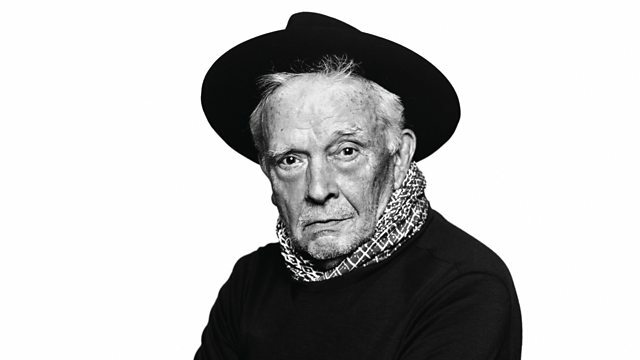 Photographer David Bailey looks back on his six-decade career. Plus Britain's largest bronze statue is unveiled in Plymouth by sculptor Joseph Hillier. Photographer David Bailey has shot some of the most iconic portraits of the last six decades, from the Kray twins to the Queen. He talks about his life and career and how to achieve the perfect portrait shot. Tomorrow the UK’s largest cast bronze sculpture is unveiled in Plymouth. John talks to artist Joseph Hillier, who has been working on the crouching female figure called Messenger for the last two years. Sophie Wright from Magnum considers the different ways photographers have captured the body in a new exhibition at the Sainsbury Centre for Visual Arts in Norwich, The Body Observed: Magnum Photos. David Bailey's Collector's Edition (signed and limited edition of 3,000) is published by TASCHEN in April. Messenger is installed outside the Theatre Royal in Plymouth. The artist commissioned by Theatre Royal Plymouth for the artwork is Joseph Hillier. The Body Observed exhibition is at the Sainsbury Centre of Visual Arts in Norwich until 30 June 2019. Full details can be found online.